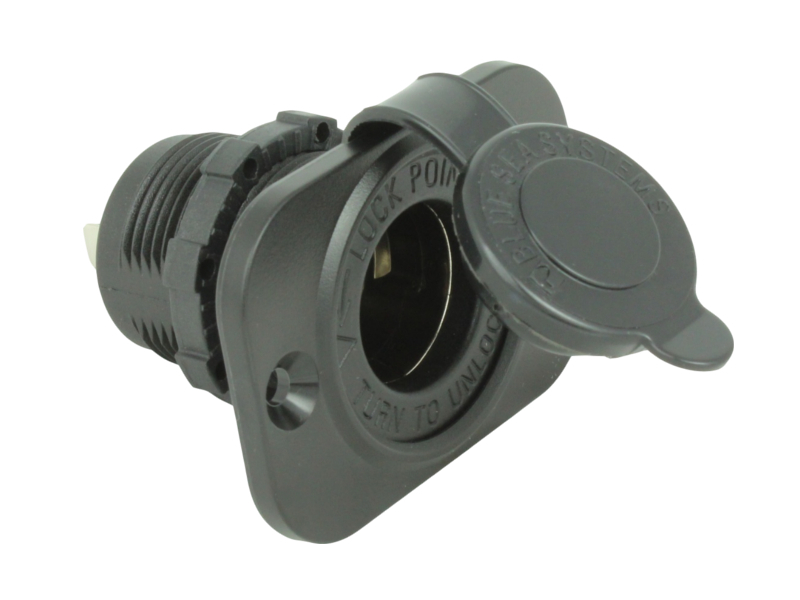 Weather-proof 12 Volt DC socket from Blue Sea Systems designed to withstand the rigors of wet environments and constant vibration found in marine use. 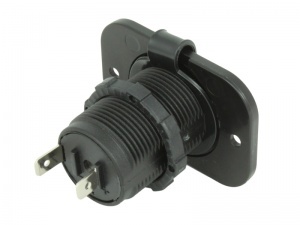 The plug/socket design features a twist-lock system to securely hold the two together. 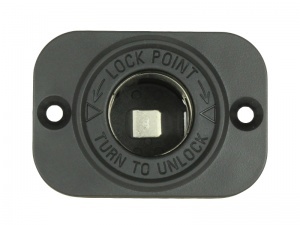 Corrosion resistant materials are used throughout and large contact surfaces ensure good electrical connection and minimal voltage drop. 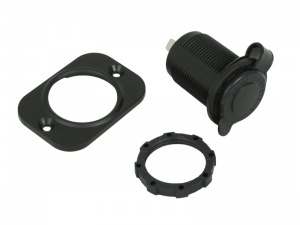 A water-tight rubber cover protects against moisture ingress when the socket is not in use and an optional facia plate is included. Note: This socket should only be used with matching weather-proof plugs from the Blue Sea Systems range. Compatibility with non-Blue Sea Systems products cannot be guaranteed. A well made item that works as it should, only let down by the poor fitting waterproof cap that kept on `popping out`. Rather than return it the problem was solved by pushing a suitable sized fibre washer into the underside of the cap. All is now well. Really good, but, takes more room to fit than most, no need to use the plate though if pushed for space.